Happy Birthday Ms. Magazine! It seems like only yesterday when you were born. It must be annoying to hear that over and over again. 40, wow! You look great! Really you do. Don’t give me that look, it’s okay to care about your looks if you’re a feminist, don’t try that on me. You look great, really. You know a lot of other magazines have very bloated advertising, and a rather eerie glossy finish. But not you. Yes you’ve freshened yourself up over the years, but that’s what keeps you modern and relevant. Do you remember the first time you came to my house? Me neither. But I remember you being there in those early years. My housewife mother must have heard about you at her consciousness-raising group and invited you home. I’m guessing you got passed around a bit. Household expenditures were tightly monitored (it was the 70s after all, things were tough all over.) Come to think of it, it took some chutzpah to start a magazine outside of the standard advertising model on the cusp of the recession, didn’t it? But you never did shy from a challenge. They laughed at you. I know you remember that. Who did you think you were? A serious magazine for women? A business run by women? They said a lot worse too. It must have been hard at times, all that bullying. They even made fun of your name. You know, that name that is now a standard fixture in the English language; appearing on all official documents and forms? You were the first to talk about abortion openly, instigating untold honest conversations and sharing in homes across the country. You shone the spotlight on domestic violence, helping to place the shame where it belongs; on the perpetrators. You gave voice to issues that often had no visible champion. You helped us to understand our bodies and minds and how they can work. You never have been popular. I don’t mean that to be hurtful, it’s actually praise. Who wants to be adored by the masses? It’s far more satisfying to be loved by those who ‘get us.’ You did come along at the right time, that’s for sure. No one was rolling out a red carpet or anything. No, no. 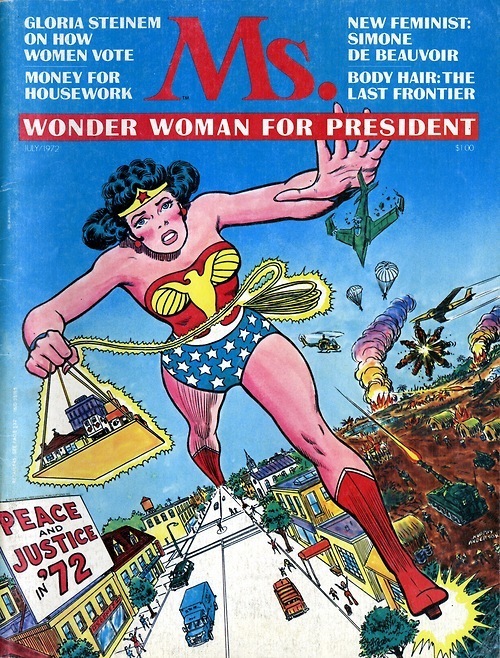 But the swelling of bias and bigotry awareness of the early 1970s was a boon to Ms. and feminism. Even the most misogynistic would begrudgingly admit that 51% of the population should be treated equally. Not so far as enacting the ERA or anything, but wait, no sad stories, this is your birthday! I remember that you were the only magazine in our house, quite possibly ever. I’ve no doubt you played some part in my mother returning to school and becoming the writer she always longed to be. You probably had a hand in the household responsibilities being distributed to all family members (yeah that was just great, thanks!) I can see your handiwork now, in my own outlook on life. I struggle, like I know you do, with the backlash of some of our progress. There are times I thought we’d be further ahead by now. I know you know. We still have work to do don’t we Ms.? Maybe 40 really is the new 30! Happy Birthday Ms. and thank you. Now get back to work.